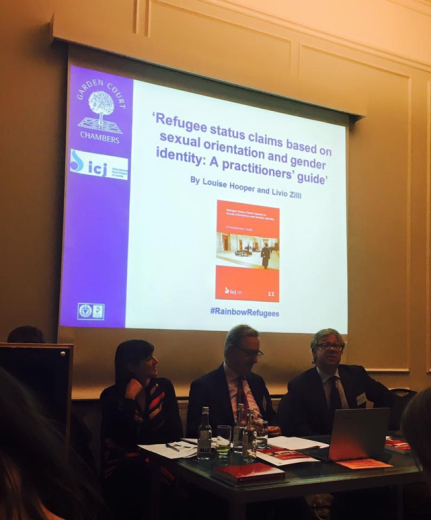 Last Friday the International Commission for Jurists launched their excellent Practitioners Guide to Refugee Status Claims based on Sexual Orientation and Gender Identity at Garden Court Chambers. The launch included an expert panel discussion chaired by top barrister Terry Munyard and featuring our very own Matthew Davies, partner in our immigration department, and the wonderful Nuala Mole of the AIRE centre. The authors of the guide, Louise Hooper and Livio Zilli also gave presentations and are to be commended on producing such a comprehensive and practical guide which all practitioners should refer to when dealing with refugee claims based on sexual orientation and gender identity. The guide is available online.